Updated at 9:50 a.m., 4/14/19. 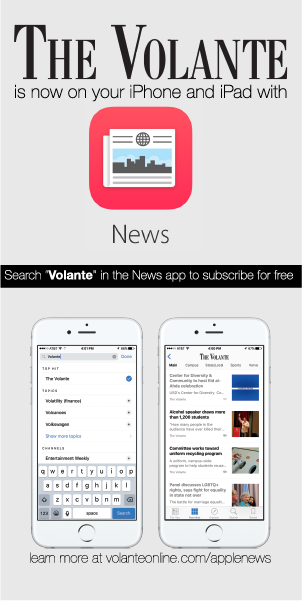 Lauren Soulek and Lexi Kerzman contributed to this story. 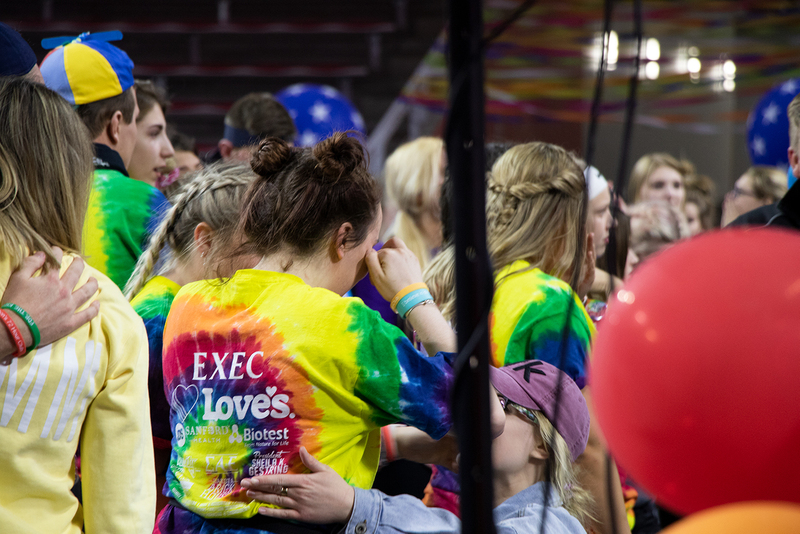 Members of Dakotathon fell into tears and hugs on the floor of the Sanford Coyote Sports Center after seeing their final amount raised for the Children’s Miracle Network: $208,732.19. 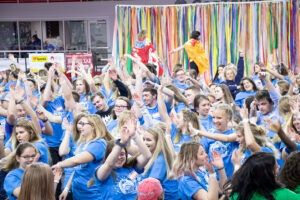 For the 22nd consecutive year, Dakothon and its 700 members kicked off the 24-hour Dance Marathon (DM) on Saturday morning. DM— or the “Day Of” —is the capstone event to the organization’s fundraising campaign for the Children’s Miracle Network, beginning in August. Last year, Dakotathon raised over $184,000. This year’s goal was $200,000. Students gathered in the SCSC to launch the 24-hour Dance Marathon. Jaxon and Jaren Scheff, two miracle children, spoke to Dakotathon members about their condition, coined “Scheff Boys Syndrome” because they’re the only two known cases. Combined, they’ve had 27 surgeries and urged members to raise $27 for miracle children like them. Libby Bullerdick, Dakotathon external co-chair and a senior at USD, said DM is her favorite part of Dakotathon. “It’s a day we get to donate to our kids. It’s what we worked for the entire year,” she said. “The whole day is centered around them and making sure they have fun, it’s their day,” she said. 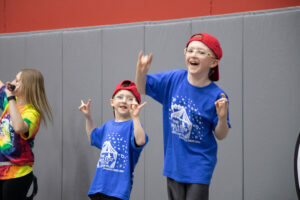 The Dakotathon congregation moved to the Ringleader Court for “Kid’s Got Talent,” a talent show put on by the miracle children. Performances included singing, dancing, a cello-stringing, cup stacking and a “Charlie Shuffle” led by the Scheff brothers. Jacob Meyer, Dakotathon event fundraising co-chair, said planning for a day full of events began in late August. Meyer said Dakotathon showcases how students can make a difference in the world surrounding them. 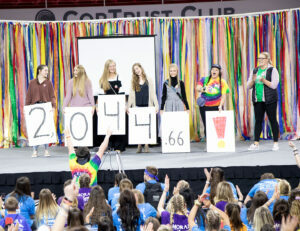 Students from Sioux Falls Roosevelt High School visited the SCSC to reveal their fundraising total from their first ever FTK (For The Kids) Week. Students sold balloons, shirts and brownies to raise $2,044.66. Ethan Hoogedorn is battling nevus, a condition that causes freckle-like splotches on the surface of the skin. Collins Kassins is battling cystic fibrosis, a disease that affects the lungs and digestive system. 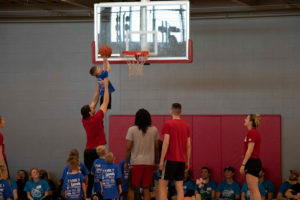 Miracle Families competed against players from the Coyote men’s and women’s basketball teams and the Miracle Kids dominated the Coyotes. After the basketball game, the winners pied the competitors in the face. The losing Coyotes took the pie with smiles on their faces. 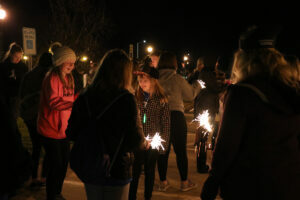 The Dakotathon team and Miracle families celebrated life at their candlelight vigil. The group first honored three previous members of Dakotathon: Caitlyn Carmen, Shawn Kunkel and Melissa Peskey. After a moment of silence for the former members, two audio clips from parents whose children passed away. “Katelyn knew that one day she would pass away, but she didn’t let that scare her, she didn’t let that define her, Katelyn’s illness never defined her. it might have enhanced the part of her that lived every day to the fullest,” Nicole Tennant, mother of Katelyn Tennant, said in the audio clip. The vigil ended in a moment of silence and finally sparklers to celebrate life. 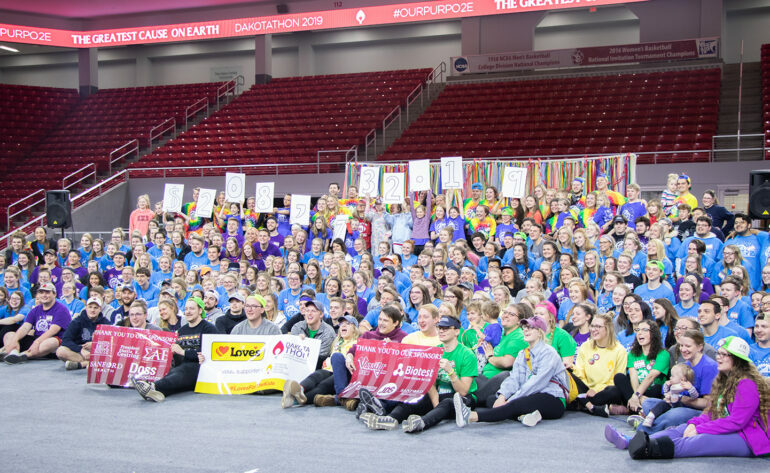 On the main floor of the SCSC Sunday morning, miracle children flipped numbered signs in front of the Dakotathon crowd, revealing the final amount of money raised for the Children’s Miracle Network: $208,732.19. Score said his freshman year, the final amount was just upwards of $84,000 at the end of DM. Dakotathon raised half of that in one day to reach their goal. “Our advisors kind of creeped us out. They were like ‘we need a quick push.’ They were just messing with us the entire time,” he said. 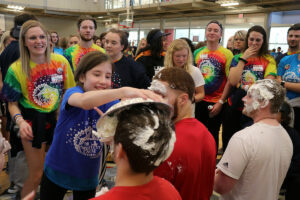 Between USD’s Dakotaton and South Dakota State’s State-a-thon, almost $390,000 was raised for the Children’s Miracle Network, which will fund medical costs for children at the Sanford Children’s Hospital in Sioux Falls, S.D.